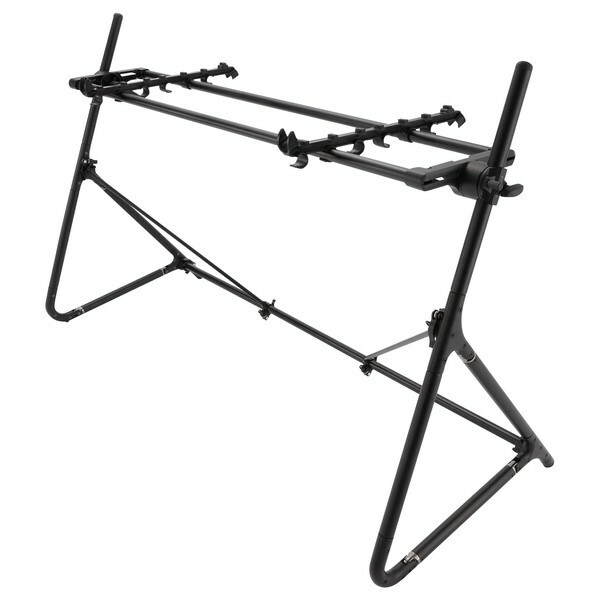 The Sequenz Standard STD-L-ABK, Black is a robust and stylish keyboard stand, designed to accommodate 88-note keyboards. The premium-grade construction is comprised of aluminium piping with a sleek black finish. The versatile design allows you to adjust the height, angle and depth of your keyboard stand, as well as being able to expand your space with a second keyboard tier (not included). 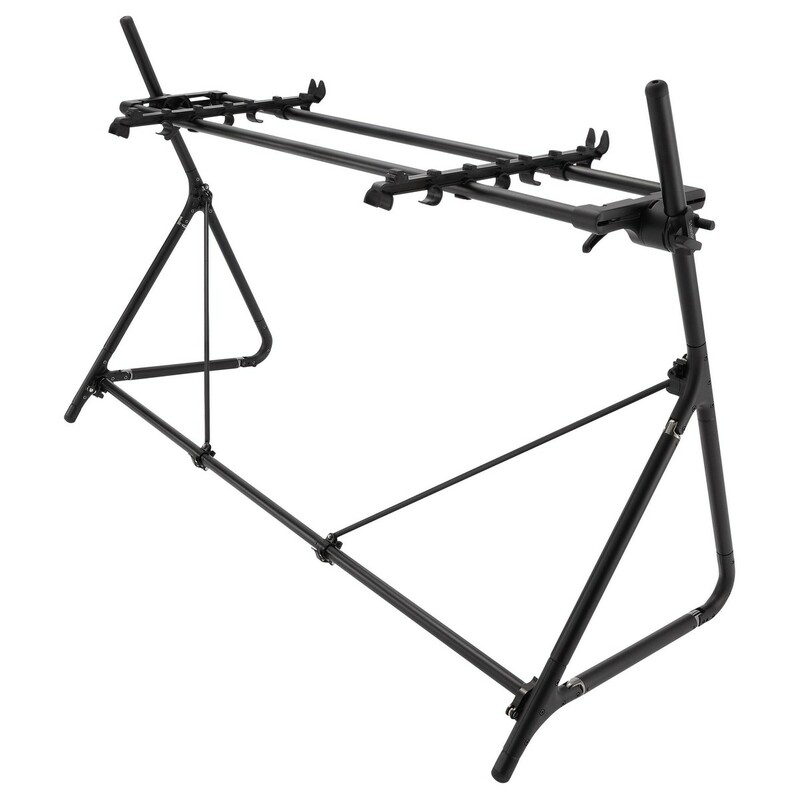 The lightweight design is easy to assemble and disassemble, making it a highly portable stand. The stand is not only limited to 88-note keyboards, the STD-L-ABK can also be used to support synthesizers, controllers and other musical equipment, with the keyboard holders providing added stability.